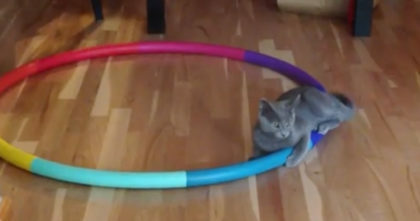 When this cat finds her favorite toy, she always does this one thing with it… and we’ve never seen a kitty do this before! You can’t help but laugh at how funny this looks, it’s like the kitty is trying to be a ballerina. 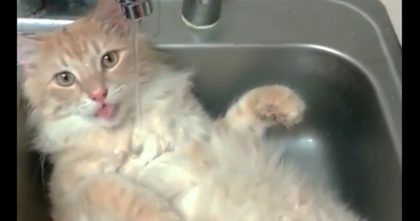 Just keep your eyes on the cat’s mouth…It all happens at 0:05! How funny is this—SHARE this silly kitty with your friends! They Say Black Cats Are Unlucky, But Just Wait Till You See… They’re Totally Wrong!! 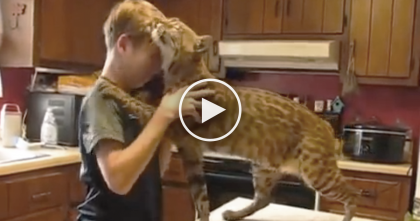 After Being Rescued, This Bobcat Says “Thank You” In An Amazing Way… Then Sparks Controversy. 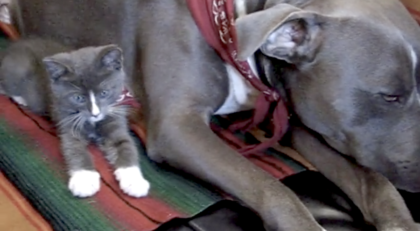 People Thought It Would Be A Terrible Idea To Let Kitten Be With The Pit Bull, But They Did It Anyway!